Liberty, “the state of being free within society from oppressive restrictions imposed by authority on one’s way of life, behavior, or political views“ , is the fundamental value of all fertile contemporary societal life processes. The Free Republic of Liberland is the world’s newest micronation, shaped by this fundamental value of freedom. Can the radically new possibilities for liberty in Liberland and an unleashed free market economy stimulate a radical transformation of the built environment? What does it mean to “plan” or channel the urban materialization of a new nation-city using Libertarian and Anarcho-Capitalist principles? What are the heuristics capable of developing an architectural substrate for a brand new society that aspires to a maximum freedom? How can maximal freedom result in a complex legible order, rather than descend into visual chaos? Free market urban order is fluid, distributed, emergent, and ever evolving. How can a light touch urban main-frame stimulate entrepreneurial free market urban order in a society whose functional values include maximum individual liberty, minimum government, voluntary taxation and charity, unencumbered free markets utilizing crypto-currency, private property, prosperity flourishing from personal responsibility and risk, individual moral freedom, privatized infrastructure and services, voluntary contractual institutions, voluntary cooperation, non-violence, non-coercion – in other words – freedom? Liberland is real. This is not solely a speculative ideas competition. Liberland needs architecture. Entries must include – but be developed beyond – speculative concepts, into fully visualized, ambitious, flexible design systems demonstrating agility for adaptation and maximum potential for developing a multi-authored fluid built environment on the basis of evolving ‘light touch’ rules. Liberland invites you to challenge the contemporary urban and architectural design status quo by responding to Liberland’s fundamental values and by speculating on the general design potential for this new micronation. Your proposed scheme must be agile and highly adaptive to market forces that are open to perpetual adaptation. 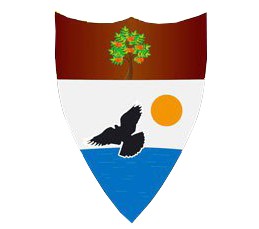 On a functional level Liberland has no zoning regulations or municipal restrictions. It has no pre-established design culture. The field is wide open to innovation on every scale. Liberland’s new architecture will be absolutely vital to its survival, success and advancement towards its envisioned future of maximum freedom and prosperity on the basis of an unleashed entrepreneurial creativity. Rather than purely fantastical or artistic schemes, Liberland seeks radically creative, yet mature proposals for a fertile, high-density city-nation of the 21st century, responsive to its advanced contemporary network society. Participants should approach this competition as a real-world design challenge: A lucid development process for a multi-stage evolution of Liberland into a fully functional, architecturally advanced, and intelligently adaptive city that at the same time projects a new identity that communicates Libertarian and Anarcho-Capitalist values like creative entrepreneurship, individual risk-taking and new forms of sociality and associations that will form once the conformist stranglehold and usurpation of sociality by a majoritarian state-rule is cast off. In the spirit of Liberland, participants are free to propose scenarios that are both design focused and socially speculative, engaging as much or as little as desired in the broader economic, political and societal projections on the future of Liberland. Ecosystem | Liberland’s territory has a mild climate similar to Los Angeles, but is prone to Danube river flooding. Entry Requirements >>> Diagrams, models, 2D, 3D or 4D site plans, sections, and renderings must represent a coherent and phased, multi-layered, unified design system visualizing infrastructures, navigation, habitation, etc). Please include a minimum 500 word concept statement. The final submittal should be made via three digital files, each sized 7200X4800 Pixels/DPI (horizontal or vertical). Only digital posters in PDF format should be submitted. Program >>> Conventional urban zoning segregation between commercial, residential, retail, municipal, and leisure districts is IRRELEVANT in Liberland! The goal is to achieve an artificial ecosystem of high permeability, fluidity, flexibility, and entrepreneurial potential in a complex variegated urban order that functions as a coherent, unified system yet retains highly adaptive to local conditions, groups, individuals, institutions and organizations by activating light-touch rule-based design networks and symbioses. 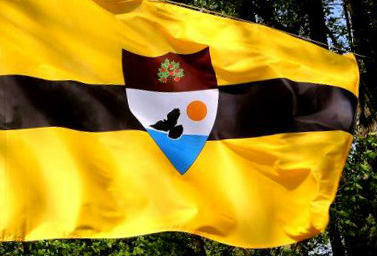 Liberland >>> Liberland is a nation, a city, a network of communications, an advanced society, a visionary Libertarian utopia, and radically Anarcho-Capitalist free market, a field of intensities – in other words, a “Fluid Totality” . Schumacher, Patrik. "Fluid Totality - The Dream of Inhabiting a Nature-like Built Environment." IoA Institute of Architecture. In Fluid Totality Studio Zaha Hadid 2000-2015. University of Applied Arts Vienna. Basel: Birkhäuser Verlag GmbH, 2015. "Liberty: Learner's Dictionary." Liberty: Learner's Dictionary. Accessed July 21, 2015. “About Liberland.” Liberland.org. 2015. Accessed July 13, 2015. https://liberland.org/en/about. Launch Date | October 5, 2015, during the opening week of the inaugural Chicago Architectural Biennial. Competition Jury | The full Design will be announced on October 15, 2015. Entry Qualifications | Open to all Architects (licensed and unlicensed), Urbanists, Interior Designers, Architecture and Design Students. Team and individual entries are welcome, only one entry fee per team. Deadlines and Questions | See schedule details below. Contact Organizer on this website with questions. Design Awards | Merits are Liberland’s new currency, equivalent to US Dollars. All prizes will be awarded in Merits. Note that Liberland citizenship costs 10,000 Merits (the equivalent of 10,000 US dollars), which can either be earned by working or obtained by donating to Liberland; prize winners can choose to apply the Merits they win towards Liberland citizenship, or to collect the Merits in cash. To qualify for entry, your registration form must include all requested details. Teams or individuals submitting incomplete registration will be automatically disqualified. All submissions will be electronic, and must meet the digital specifications of 7200x4800 pixels/dpi per digital banner, in PDF format. Three digital banners are required per submission, whether the design tem is comprised of one or several designers. Submissions will be accepted via email and Google Drive. Be sure to include your current email when registering so that we can add you to the Google Drive folder for uploads. More details onOctober 15, 2015. Winners will be announced to the main contact of the team or to individuals, as well as on this website. “We must make the building of a free society once more an intellectual adventure, a deed of courage.... Unless we can make the philosophic foundations of a free society once more a living intellectual issue, and its implementation a task which challenges the ingenuity and imagination of our liveliest minds, the prospects of freedom are indeed dark. But if we can regain that belief in the power of ideas which was the mark of liberalism at its best, the battle is not lost.” . Rothbard, Murray N. "Anatomy of the State." Mises Institute. 2009. Accessed September 23, 2015. https://mises.org/library/anatomy-state. Rothbard, Murray N. For a New Liberty: The Libertarian Manifesto. Rev. ed. New York: Libertarian Review Foundation, 1985. Rothbard, Murray N. "Anatomy of the State." Mises Institute. 2009. Accessed July 13, 2015. https://mises.org/library/anatomy-state. Rothbard, Murray N. What Has Government Done to Our Money? Auburn, Ala.: Ludwig Von Mises Institute, 1990. Hayek, Friedrich A. Von. The Road to Serfdom. Chicago, IL: University of Chicago Press, 1944. Hayek, Friedrich A. Von. The Intellectuals and Socialism. London: IEA Health and Welfare Unit, 1998. Mises, Ludwig Von. "Human Action - A Treatise on Economics (Scholar's Edition)." www.mises.org. 1998. Accessed July 13, 2015. https://mises.org/sites/default/files/Human Action_3.pdf. Mises, Ludwig Von. Omnipotent Government: The Rise of the Total State and Total War (1985 Edition). Libertarian Press, Incorporated, 1945. "Vit Jedlicka, a member of the conservative Party of Free Citizens in the Czech Republic, is the self-appointed president of Liberland, which he says sits on unclaimed terra nullius territory wedged between Serbia and Croatia. The 3 sq. mi. “country,” where taxes are optional and a military is nonexistent, does not “interfere with the territory” of the two states, according to Liberland’s website." Architect, Theorist and Educator, Partner at Zaha Hadid Architects, Founding Director of the Architectural Association’s Design Research Laboratory (AA DRL), and author of The Autopoiesis of Architecture (Volumes I & II). Professor at the Illinois Institute of Technology, Head of Education at The Berlage – Delft University of Technology, Licensed Architect in Croatia, recipient of the Croatian Architects Association Award ‘Neven Segvic’, 2007, and member of the Croatian Association of Architects.Mimica was the last Director of the Berlage Institute in Rotterdam, curator of International Rotterdam Architectural Biennale, 2007 and recipient of the Croatian Architects Association Award ‘Neven Segvic’, 2007. Architect, researcher and curator, professor of Digital Design at The European Graduate School, a founder of Biothing, and a partner of Bloom Games. Andrasek is directing Graduate Architectural Design at the UCL Bartlett School of Architecture. She was born in Croatia and presently lives and works in London. Architect, curator and scholar in the field of architecture, art and technology. In 2007 He finished with excellence his Master of Science 's degree in Urban Strategies at the University of Applied Arts in Vienna under the auspices of Wolf Prix. Currently, he is a Ph.D candidate at the Department of Architecture at UCLA. Architect and Environmental consultant, founder of S+ studio, design-research oriented studio. He has diverse experience at different scales, ranging from architecture to master planning. Shady has a holistic approach and a determinant ambition in environmental and social aspect of sustainability. Maritn is a well-known Czech designer of concerts, concert tours, television shows and events for international companies. His sophisticated stage designs are appreciated internationally. Since 2006, he has been exclusively representing companies Stage and Light Design.LLC in New York, collaborating with artists like Manowar, BoneyM, Nazareth, Lucie, Czech Music Awards and Czech Miss. In 2015 he was approached to work with Madonna.Mike Zoppo is a host of exceptional ability. Studies show that a vast majority of guests attending events by Mike have been known to leave more elated than visitors to Santa's Workshop, The Lost of Continent of Atlantis, and the Fountain of Youth. ArchAgenda's mission is to advance 21st century global architecture discourse and design through a unified, fluid and systematic approach; to generate and instrumentalize experimental design research agendas and computationally advanced design processes with potential to accelerate architecture’s fertile co-evolution with today’s complex emergent socialities; to inspire and contribute entrepreneurial design innovation; and to amplify the movement towards a new framework and agenda for architecture.